Torah Codes 2012 by Midbar Nesher: Argentina's Economic Collapse - Memory of Plunder. Argentina's Economic Collapse - Memory of Plunder. Documentary on the events that led to the economic collapse of Argentina in 2001 which wiped out the middle class and raised the level of poverty to 57.5%. Central to the collapse was the implementation of neo-liberal policies which enabled the swindle of billions of dollars by foreign banks and corporations. Many of Argentina's assets and resources were shamefully plundered. Its financial system was even used for money laundering by Citibank, Credit Suisse, and JP Morgan. The net result was massive wealth transfers and the impoverishment of society which culminated in many deaths due to oppression and malnutrition. 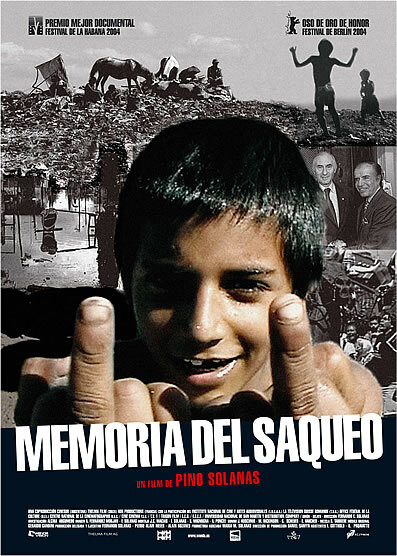 Official name: Memoria del Saqueo by Fernando Solanas 2003.